Late in September, my partner and I found out the best way to spend a rainy fall day in Manitoba. Not only do autumn roadtrips offer a spectacular glimpse at the colours of the season, but they also have the potential to bring you to new (and tasty) locations. We set our sights on Farmery Estate Brewery, just outside the cute town of Neepawa. Upon arrival, we were greeted by our tour host for the morning, Eric Warwaruk (brother of founders Lawrence and Chris) in the best way possible: with ale, of course! Small samples were offered of each beer (which was adequate for me as the designated driver) along with a quick introduction to their current lineup. The Premium Lager (arguably their most recognizable brew) came up as a favourite, followed by the Hard Iced Tea. Eric explained that the unconventional choices like the Prairie Berry-Ale, Pink Lemonale and the Hard Iced Tea had become a bit of a gateway drink for those who haven’t quite acquired a taste for beer. I could relate to this, seeing as though 5 years ago you would never catch me at a brewery. 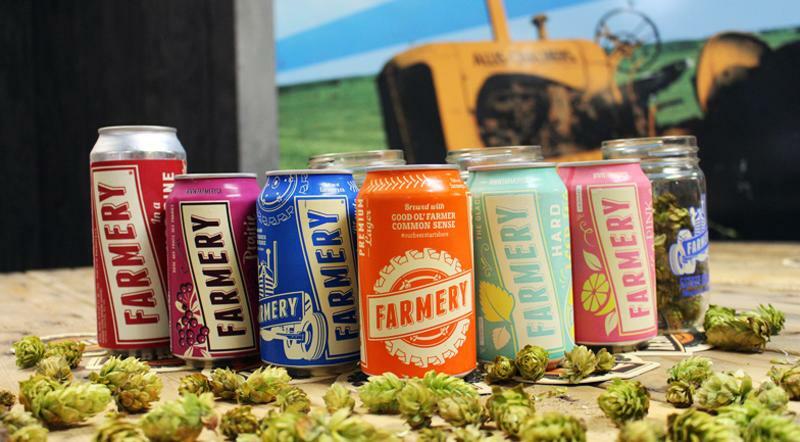 Farmery Estate Brewery is unique because of their role as both farmer and brewer. And this farm-to-beer operation is a smooth one, we found out, as we toured the facilities behind the store front. We caught a glimpse of their marled barley (and had a taste – kind of nutty) before seeing some canning in action. This must be where the success of the show How it’s Made comes from, as it was absolutely fascinating to see how such a simple day-to-day object is put together. While much of the facility is designed for large-scale, it was nice to see that some portions of the process remains small – like the four workers on one end of the assembly line who’s task it was to package the cans. As a bit of a beer-newbie, it was interesting to hear about the different methods that can be used in the brewing process – from hops to beer pasteurizers. It goes to show that if you’ve seen one, you probably haven’t seen them all when it comes to breweries. 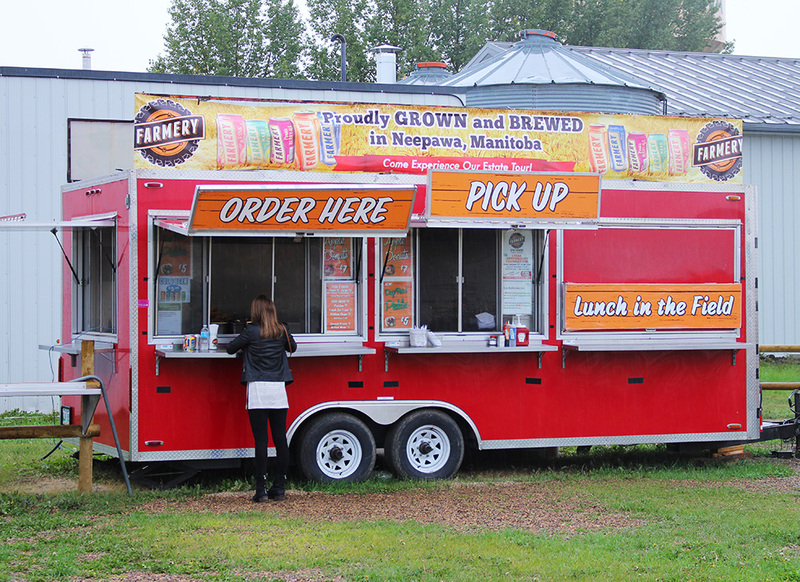 By the time the tour wrapped up, food was way overdue and we made our way outside to try the Farmery Estate food truck – open rain or shine, apparently! We ordered fries, poutine, deep fried pickles and a flight for my companion and I to share. We settled in under the tent for protection from the rain and enjoyed the pitter-patter above as we dug in. Surprise surprise, all of our choices turned out to be delicious and highly recommended if you make the drive to this quaint little food truck before it closes for the season.